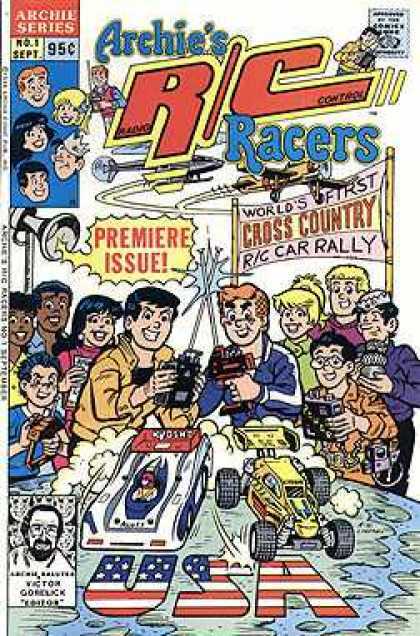 Two teams of Riverdale teenagers, led by Archie and Reggie, travel across the United States racing radio-controlled cars, while foiling the dastardly schemes of the villainous Babette and her bungling henchmen. Given its limited premise, it is hardly surprising that this series was never revived after its 10-issue run was up. Archie's team included Jughead, Betty, Moose, Ethel and Dilton. Reggie's team included Veronica, Midge, Chuck, Nancy, and Leroy (though Midge later switched to Archie's team).